We hope you never have to experience this, but if you were involved in or witnessed an accident, how comfortable would you be with administering basic first aid to someone who was injured? If you have no first aid knowledge then it might be useful to read this first aid advice for the road. It could equip you with the basic tools to help someone in trouble, and keep them as comfortable as possible while you wait for the emergency services to arrive. Fire and further collisions are the biggest threat following an accident. Take care when approaching any vehicle involved in a collision, switch off engines and, if possible, try to warn other drivers. Put out any cigarettes. 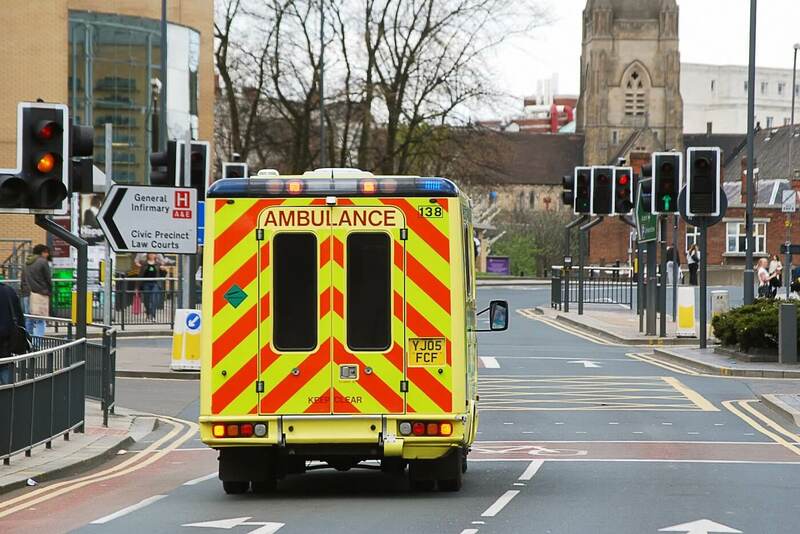 If there are bystanders ask them to call the emergency services on 999 or 112, providing them with the precise location of the collision and the number of vehicles involved. Give as much information about the condition of the casualties (if they are unresponsive or bleeding heavily for example) as possible. Compressions: if there is no sign of life and no pulse, administer chest Compressions. Place 2 hands in the centre of the chest and press down hard (5-6 cms) and fast (twice a second). You may only need one hand for a child and shouldn’t press down as far. With infants, use 2 fingers in the middle of the chest when administering Compresssions but don’t press down too far. Inspect the wound for foreign objects such as glass. Taking care not to press on the object, build up padding on either side of it. If you don’t think anything is embedded then apply firm pressure over the wound to stem the blood flow. As soon as practical, fasten a pad to the wound with a bandage or length of cloth, ensuring it is the cleanest material available. If arms or legs are bleeding but not broken, raise them up above the level of the casualty’s heart to slow down the flow of blood. Any restriction of blood circulation for more than a short time could cause long-term injuries. Check the casualty for shock and if possible try to cool the burn for at least 10 minutes with plenty of clean, cold water or non-toxic liquid. Do not remove anything that is stuck to the burn.